In many circumstances, a short sale of a property means that the buyer gets a great deal, but the seller might not. It’s common for the sellers of short sale properties to have a difficult time buying property following the sale. With that said, there are avenues available to buy property after a short sale. To understand the options, it’s important first to know what a short sale is and how it affects your finances. When a property is short sold, this means that the lender or mortgage company was involved in the price negotiations. The lender accepted a price that was lower than the estimated value of the house in order to pay off the seller’s mortgage. For a lender to become involved in the home selling process, the property must be facing some financial discrepancy. Short sales aren’t the same thing as foreclosures, though. In a foreclosure, a property owner has ceased to make any payments upon their property. The bank or mortgage company has then repossessed the home in order to repay the property owner’s debt. 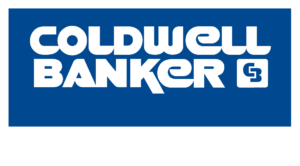 Many people believe that short sales occur only when a property owner’s finances are in trouble. This isn’t true, though. A property owner doesn’t need to default on their mortgage before a lender will consider short selling. One common circumstance occurs when a property owner is up-to-date on their mortgage payments, but the estimated value of the house has significantly diminished. When the property owner sells their property, they might owe more than the current value of their land. In these cases, lenders will sometimes use short sales to keep the price from falling below the estimated market value. This means that short sales can happen through no fault of the property owner. However, some lending companies will still view a short sale as a mark of suspicious finances. Most lending companies avoid short sales unless the property owner has no viable means of paying the difference between their loans and the sale price. The bottom line is this: When a property short sells, the lending company loses money. Regardless of the reasoning behind the sale, future lending companies will be concerned about the financial risks associated with the seller. If your property was involved in a short sale, it’s important to understand your options for purchasing another property. Your loan options will vary widely depending on the circumstances behind the short sale. If you weren’t late on any of your prior mortgage payments, certain VA lenders will consider a loan application in a short period of time following the short sale closing. Some lenders will even consider the loan application within one month of your short sale. In most cases, though, you’ll need to have a credit score of at least 660 for the lending company to consider you a safe investment option. Unfortunately, you probably won’t find any lending companies who will approve a loan until a few weeks after the short sale closing date. It’s possible to purchase a house immediately after your closing, but only if you have the cash on-hand to do so. Since short sales occur because you didn’t have the financial means to pay your mortgage discrepancy, it’s highly unlikely that this will be possible. The only way to buy a property out-of-pocket immediately after a short sale is if you happen to have an unbelievable stroke of luck. There is a bright side, though. Multiple loan options are still available following a short sale. You should investigate each of these before you find yourself losing hope. One option is an FHA loan. The FHA, or Federal Housing Administration, is a government agency rather than a mortgage lender. Instead of giving a loan to a home buyer, the FHA insures your mortgage. This is a means of protecting the banks and mortgage companies that actually finance your loan. If you have an FHA loan, and your newly-bought home is also involved in a short sale, the FHA will reimburse your mortgage lender for any losses they incur. This extra protection means you might qualify for loans, even if your credit and past history don’t qualify you for a traditionally-financed mortgage. There is one major drawback to the FHA option, though: If your home is involved in a short sale, you cannot apply for an FHA loan until three years after the closing date. This three-year mandatory waiting period makes FHA loans inaccessible for people who need financing options immediately. But FHA loans are good to keep in mind if you’ve short sold a home in the past and still find it affecting your potential with lenders. If you’re an active military member or a veteran, you can apply for a VA loan following a short sale. However, there is a two year waiting period. This is better than the three year waiting period, but it’s equally inaccessible for people who need quick finances! You also need to make sure you meet the eligibility criteria for the loan. If your short sold home was a VA loan as well, you might not be eligible for another loan. The USDA will sometimes finance loans. USDA loans are given to people in rural and suburban areas. There aren’t any on-the-books rules written regarding USDA loans and short sales. However, it’s common for the USDA to treat short sales and foreclosures the same way, especially if you have poor credit or other financial problems. If the USDA considers your short sale to be a foreclosure or pre-foreclosure, you could be facing a three year waiting period before you’re eligible to apply. Your final option is to go through conventional mortgage companies. If you finance with Fannie Mae and Freddie Mac after a short sale, you’ll have to endure a four-year waiting period before your application is approved. Additionally, if your down payment on your new loan is less than 10% of the overall sum, the waiting period extends to seven years. If you finance with a conventional lender, you’ll need to make sure your credit score is at least 620 before you get approved. Because you’re considered a risky lender, you’ll most likely need to pay for private mortgage insurance in addition to your month-by-month mortgage payments. The waiting periods can seem disheartening, especially if your short sale wasn’t any financial fault of your own. But these waiting periods are a guideline, not a guarantee. 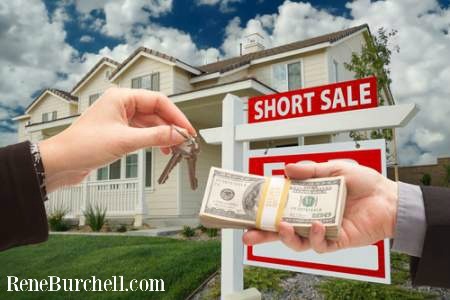 In some cases, the short sale might occur through no financial fault on your part. Examples of extenuating circumstances are job losses, unexpected and uninsured medical bills, and the death of a primary breadwinner in the household. For the most part, divorce is not considered an extenuating circumstance; however, if the divorce comes with an unavoidable and drastic drop in outcome, it might qualify. If you go the conventional lender route, you’ll be more favorably considered if you have a significant down payment saved. Usually, this means being able to pay 30% or more of the overall sum. If you put 20% down, but you can also prove the existence of significant reserves of cash, conventional lenders might still be willing to consider you. The higher your down payment, the lower your monthly interest rates will be. It’s common to feel overwhelmed by the credit blow you probably suffered following your short sale. But rebuilding your credit can be an easy and intuitive process. Your credit score is calculated by a company called Fair Isaacs. Recently, Fair Isaacs lessened the overall impact that short sales have on an individual’s credit score. Depending on your circumstances, the closure of your short sale has the potential to boost your credit score. This usually occurs if you have overdue mortgage payments. When mortgage delinquency shows up as several months past due, the short sale closure wipes this negative mark away. Without that unpaid loan darkening your credit score, you might see your numbers go up. However, it’s not necessarily a good thing if your short sale closure increases your credit score. When this occurs, it’s a sign that your unpaid mortgage payments have made a significant impact on your credibility as a borrower. But it is good that mortgage lenders won’t see a past due notice when they run your credit report. Because of the way your FICO score is calculated, a past due notice could lower your overall number by up to 110 points! When that’s wiped away, you can expect to see a boost. Even if you do notice a significant negative impact on your credit score after the short sale, rebuilding doesn’t need to be painful. Your credit score reflects the amount of risk you pose to lenders. To build it up, you just need to prove that you can pay back lent money on time. The best way to do this is by using a credit card that has a 0% interest rate, provided your payments are made in a timely fashion. Buy groceries, gas, and other small purchases using the card. Then pay them at the end of each month by using your bank account balance. It’s also helpful to pay your utility bills and other monthly payments on time. If you have a car payment, you should try to stay up-to-date with that. When a lender sees that you’ve made consistent car and utility payments, they’re more likely to consider you for a loan than they would if you had multiple past due notices. A short sale will make acquiring a property loan difficult, but not impossible. You have multiple avenues to pursue. The most important thing is to take responsibility for your financial circumstances. Do your best to rebuild your credit and repay your overdue loans as soon as possible. If you want to purchase a home within a year, you should try to save up for a sizable down payment and use a credit card to help repair your damaged credit. 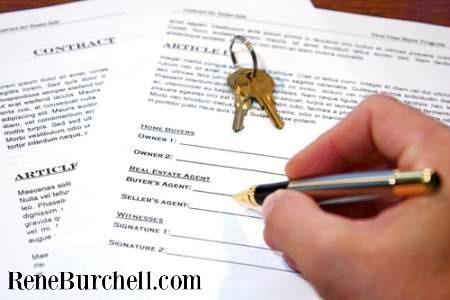 If your short sale occurred because of extenuating circumstances, you should put together as much documentation as possible. When you prove that you intend to take financial responsibility for your situation, lenders are more likely to lower your waiting period.